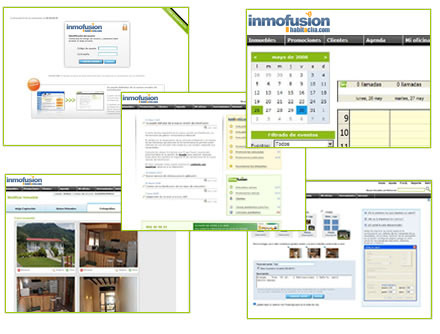 habitaclia.com has a complete property management application and easy to use: Inmofusion - Gestión inmobiliaria. The application lets you control and manage its portfolio of properties nimbly, promotions, customers, canvassing and many tools to facilitate the daily tasks of his estate. Thanks to our technology platform and data stored on your management program may be sent to your own website and the real estate portal habitaclia.com, no need to enter data into various applications. Our software has been created based on the real needs of our customers. It is a professional program aimed at novice user, with screens and menus easy to use. habitaclia.com offers a support service Inmofusion - Gestión inmobiliaria using the program to resolve any questions you may have with the program. Hundreds of real estate agencies are currently using our property management software for its daily management. If you are interested in renew the website of your estate agency know our offer. 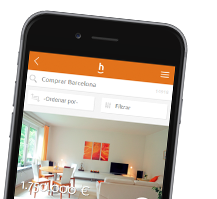 Post your portfolio of properties and promotions of new work in habitaclia.